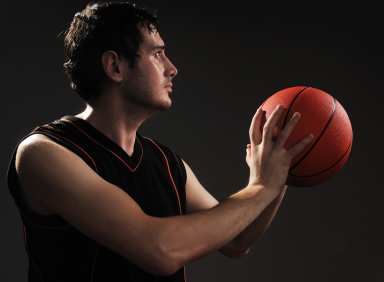 “Want to become a star basketball shooter and scorer? What is the main key? As a professional basketball player, I learned to develop a short, quick release to be competitive in the NBA. 1) A short, quick release will enable to get up more shots with less defensive pressure. 2) When you get to the top of your leap on a jump shot, you have a short, quick enough shooting stroke to start and release the basketball before gravity pulls you down and thus off balance. This is why you will never see a great shooter with a lot of arm motion in his or her shooting release. What are the keys to a short, quick shooting release? 1) Have the basketball under control in both hands as you set your feet to start your upward jump on a jump shot. This is extremely important! Article Written by William Crow – Former Professional Basketball Player – Chairman, Springbak Inc.